Today I'm participating in the Ask Me No Questions Blog Tour. 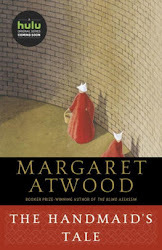 In this post you will find book and author information along with my review. Synopsis . 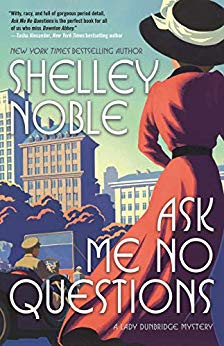 . . From New York Times bestselling author Shelley Noble, Ask Me No Questions is the first in the Lady Dunbridge Mystery series featuring a widow turned sleuth in turn-of-the-twentieth century New York City. My review . . . Life has been very limited thus far for Lady Philomena (Phil) Dunbridge, whose parents married her off at age 17 to an older titled man of means. When her husband, the Earl, dies suddenly of a heart attack after years in an unfulfilling marriage, Phil's future seems bleak. Her family expects her to either return home or live nearby with a chaperone. Longing for independence and excitement, Phil is determined to leave England and begin her life anew. She sets sail on the SS Oceanic for New York City, where she will reunite with Beverly Reynolds, a dear friend from her finishing school days in Paris. Bev is from a wealthy, well-established New York family and the plan is for the girlhood friend to introduce the young widow to New York Society and brighter prospects. But things go terribly wrong from the very start when Bev's husband Reggie, who is at the pier with Bev to meet Phil's ship, is shot and killed in his car. Beverly is considered a prime suspect in Reggie's murder, and after a second murder victim turns up in the library at the Reynoldses' Manhattan brownstone, Phil feels compelled to clear her friend's name. Her inquiries reveal that Reggie was a bit of a rogue, and his associations and activities are most likely what led to his death. As the list of suspects grows, so does Phil's focus on unravelling the truth. Set in New York's Gilded Age and brimming with delicious society scandals, illicit affairs, losses of fortune, corruption, and falls from grace, Ask Me No Questions introduces readers to a lively cast of upstairs and downstairs characters revolving around a clever amateur sleuth. Lady Philomena Dunbridge is an astute observer with a flair for piecing together clues and forming working relationships at all levels of the social strata. Phil's further introduction into New York Society and the identity of a mystery man whose subtle hints were integral to solving the case heighten the interest for further installments in this series. Giveaway . . . Enter the Ask Me No Questions giveaway by clicking on this link. SHELLEY NOBLE is the NEW YORK TIMES and USA TODAY bestselling author of women’s fiction (BEACH COLORS, WHISPER BEACH, LIGHTHOUSE BEACH). As SHELLEY FREYDONT she writes cozy mysteries (CELEBRATION BAY FESTIVAL MYSTERIES, THE SUDOKU MYSTERIES), and the NEWPORT GUILDED MYSTERIES, beginning with A GILDED GRAVE, an RT Reviewer’s Choice nominee for Best Historical Mystery of 2015 and Macavity Finalist. ASK ME NO QUESTIONS is the first of a Manhattan Gilded Age series and written as Shelley Noble. 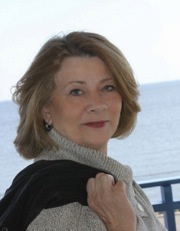 A former professional dancer and choreographer, Shelley lives at the Jersey shore and loves to discover new lighthouses and vintage carousels. Note . . . I received a complimentary copy of Ask Me No Questions from the publisher in exchange for an honest review.